Welcome to Resolution Gardens - Building your dream landscaping and gardens with a focus on collaboration, integrity, and cost-effectiveness. Our full-spectrum landscaping company focused on food gardens has grown from core values: Custom Veggie Gardens 50% of our work is devoted to helping our neighbors grow food. Projects range from 2×4 Starter Garden Raised Beds to Limestone Drystack 4x8s to Urban Homesteads with In-ground Gardens. Quality Since 2009 we’ve built over a thousand gardens in and around Austin. 50% of our work is from referrals, which is a testament to the quality we deliver. Price Integrity We pass ALL our material discounts on to you. We provide a time and materials estimate and bill $40/hr for labor. A running tally of actual receipts and hours-worked is kept for final billing. Along the way if we’re concerned about any overage compared to the estimate, we’ll get with you to discuss the situation and outline issues and options. We look forward to working with you! Paul's Lawn & Landscape, LLC. Founded in 1998, we are a referral based, full service lawn maintenance and landscape company who can provide everything to include routine lawn maintenance to landscape & outdoor living design and install. No matter how intricate or simple the design, we can make your vision a reality. 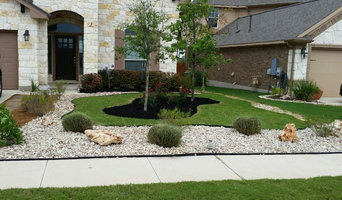 We are a full service landscape contractor that has been servicing Central Texas since 1989. We handle services from commercial lawn care to custom design of landscaping and outdoor living areas, such as outdoor kitchens, patios, retaining walls and more. We will work closely with the client from inception to completion. The decision to hire a landscape designer and builder involves a lot of trust. You want someone who instinctively knows how to complete your home. Someone who can take the elements already in place, and add to them to create something you couldn't have imagined yourself. Someone who can see a blank slate and fill it with a wholly designed architecture that is perfectly, thoughtfully natural. That’s what we do. Design is a two-part process. First is consultation. We meet at your site and talk about what you like, what you want to see, what you want to hide. Then we’ll With almost a decade of experience working together with outdoor materials, the SOMOS in-house team includes stonemasons, plant geniuses, drainage specialists, steel fabricators and outdoor lighting experts. We’ll pull the talent we need to transform the designs you love into the reality where you live! 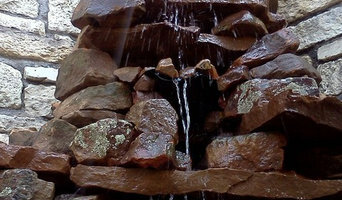 Our environments include native plantings, vegetable gardens, drought tolerant xeriscaping, urban meadows, water collection systems, composting methods, urban homesteading, sustainable construction practices, green roofs, and smart water usage - all to create low maintenance spaces that that work, and relax, with you. We use all organic products and methods so that you can feel good about the home you are creating outdoors. An onsite designer will be there to guide the process smoothly from inception to completion. We are there for you. While we strive to create spaces that can practically maintain themselves, there is always a bit of extra care that can make a big difference. We can schedule maintenance visits throughout the year to do just that. For example in winter, we might cut back dormant plants, add winter veggies to the garden, plant trees, and clean and repair any hardscape. Spring might mean pruning for growth, fertilizing, top dressing to protect plants from rising temps and an irrigation check-up. Want to do it yourself? We can give you a to-do list. 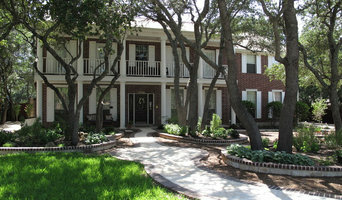 Russell's Gardens specializes in the full spectrum of landscaping options. As a certified StoneMakers dealer we offer beautiful and affordable concrete options for hard-scapes, such as waterfalls, patios, and retaining walls. We employ a licensed irrigator for irrigation installation and repair. We also design and build both ecologically beneficial and beautiful gardens. Environmental Specialist duties can include planting trees, laying walkways, mowing lawns, and pruning shrubs. plant turf grass, bushes, shrubs, trees, flowers and other plants at their proper depth and in a strategic pattern that is usually designed by a landscape architect or designer. They may also install patios, outdoor lighting, sprinklers or other irrigation systems and decks. Sloped areas or hills are leveled out by Environmental Specialist and water features like ponds, fountains and waterfalls are set up by them too..We can also start with an area that is wildly overgrown with vegetation and have to work to clear the area out. In addition to creating landscapes and outdoor areas Environmental,Specialist maintain them as well. Pruning, mowing, edging, trimming, fertilizing and watering are done by Environmental Specialist They may spray plants, trees and grass with pesticides to control destructive insects and diseases Environmental Specialist also clear away any trash or garden debris. Just Us Landscaping provides turn-key landscape installations. Moving into the future, Xeriscaping is very important to us. We are conservative with the environments natural resources and still create your dream yard while being mindful of everything that mother nature provides. You have a desire to fully enjoy your yard, whether it's to create an atmosphere of entertainment or relaxation. You watch the landscaping shows on TV and wonder if that could happen on your property, but you're not sure what it takes to get it done. Call us for a free consultation. We will meet with you and listen to your "wish list." We will come up with a proposed plan that works within your budget. Once you're happy with our proposal, we'll get to work and you will have that yard of your dreams in short order. Gage Design Studio, LLC is a specialized land planning and landscape architecture design team that provides strategic planning and design consultation services to the real estate development industry. 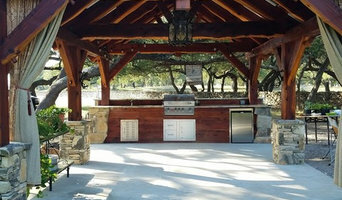 With a vast portfolio of projects and over 20 years of experience in land planning, commercial and residential landscape design, the Gage Design Studio team is uniquely qualified to assist individual land owners, developers, asset managers and lenders to realize their vision and development objectives, whether it be a new development project, or the re-positioning of an existing one. Based in San Marcos. Texas, USA, Gage Design Studio and its team of specialists, have achieved international recognition in providing planning and design services for: destination resort and hotel projects, small and large-scale residential communities, golf course communities and diverse recreational projects for domestic and international clients. We are interested in focusing on relatively unique projects with exceptional clients and in interesting locations. We want to contribute to the financial success of our clients and their investors. But also, we want to create projects that are environmentally and socially responsible, authentic to place and time, and that are transformative for the users. Ultimately, that will be the basis by which our clients and we will be valued and remembered. 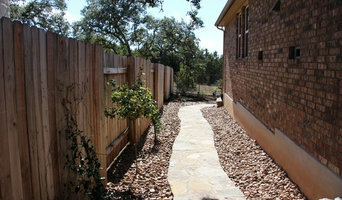 Blue Agave Landscapes designs, builds and repairs water-wise landscaping for central Texas homeowners. Our master masons, designers, licensed irrigators and arbor-care specialists work together to create beautiful, lasting landscaping features that add joy and value to your home.